Trillium University would like to thank the 3D-Graphics illustrators and Dmitry Makaryev, Executive Manager of irystyle for providing this illustration. irystyle incorporates high quality specialists of 3D graphics and 3D animation techniques, animated cartoons, video and design works, and is contributing their vast knowlege to the students of Trillium University. Tutorials, are currently being considered in a number of subject areas including computer science, and the arts. The next few pages include several 3-D renderings of a scene (collection of objects, etc.) 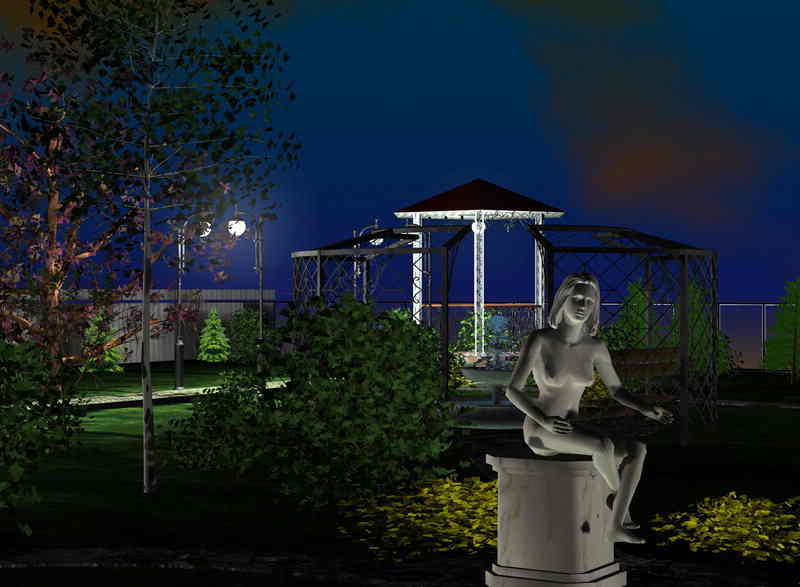 with slight variations, culminating in another night view similar to this one, followed by a distinctivly different piece of art demonstrating 2-D illustration in a modern style.